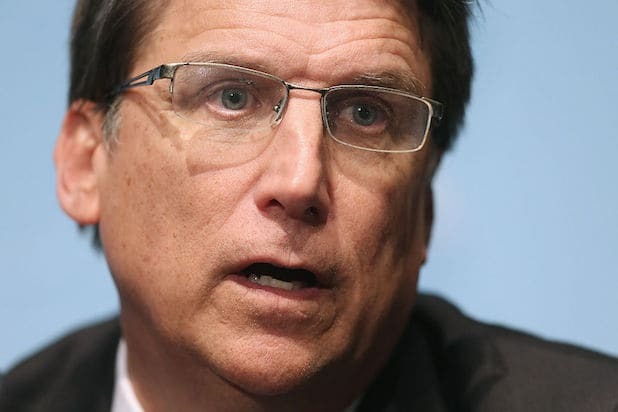 The condemnation came in response to McCrory’s executive order to “clarify” the state’s controversial anti-LGBT law. In a videotaped message the state’s Republican governor says he is dropping the part of the provision that requires people use bathrooms matching the gender on their birth certificates. This law sparked intense backlash from LGBT groups and big businesses, including several Hollywood studios. Known as “the bathroom law,” the legislation prohibits transgender people from using public bathrooms that don’t match the gender they were assigned at birth. On Friday, Bruce Springsteen showed the state who’s boss, canceling his Greensboro, North Carolina, show scheduled for Sunday in response to the law.